Whether you want to learn how to swim from scratch or you are preparing for a competition as an experienced swimmer, this class is for you! 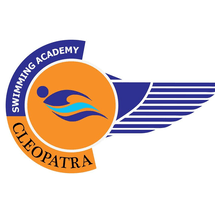 Join this group swimming class and you will not just learn swimming but will also improve your fitness, flexibility, body strength and coordination skills. This group swimming class is perfect for beginners with little or no previous swimming experience, providing them with the safe and supportive environment they need to learn to swim with confidence. Specialized training can also be provided for advanced athletes getting ready for their competitions or learning new strokes and techniques. During your first call with the class coordinator, you can specify your current ability level and preferred timings, based on which, you will be assigned to the right training group that matches your training requirements. If you are not sure of your ability level, you can inform the class coordinator and get a free 10-minute assessment session.